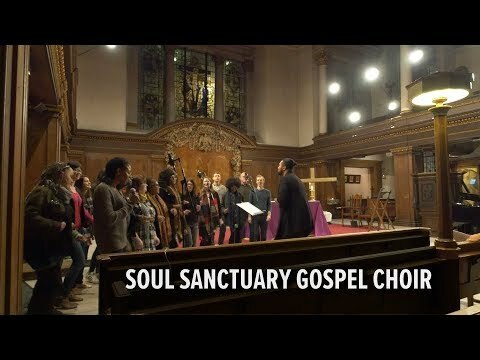 Soul Sanctuary Gospel Choir is on a mission! To spread contemporary gospel music into Catholic, Anglican, and other churches where it isn’t usually heard, and to bring its unique sound to diverse audiences everywhere. The choir was founded 13 years ago in the belief that contemporary gospel music is one of Christianity’s greatest living artistic treasures, and that it should be spread among all denominations and introduced into as many Christian liturgies as are open to it. For over a decade we have been developing our unique and innovative approach to incorporating gospel music into structured liturgy. For the last few years, we have sung and played for a monthly Roman Catholic Mass at Farm Street Church in Mayfair, London and a monthly Eucharist at St James’s Anglican Church Piccadilly with Lucy Winkett and her team. Sensitive musical programming means contemporary gospel songs (with full choir and live band) are weaved seamlessly into the service alongside prayers, liturgy, a sermon and communion. Very little contemporary gospel has been written for conventional liturgy, and we have therefore created and commissioned many original mass and psalm settings in a contemporary gospel style, as well as gospel settings of traditional hymns. 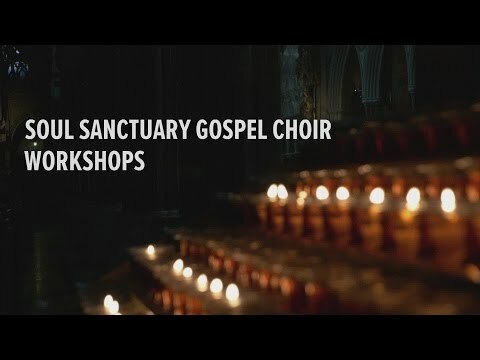 To get a flavour of how Soul Sanctuary operates in a church context, watch our short film! A very important part of our mission is spreading gospel choir music far and wide, throughout churches in the UK. We are doing this via our ‘toolkit’ of resources and gospel singing workshops. Outside church walls, Soul Sanctuary have sold out the Jazz Cafe, appeared at Marlborough International Jazz Festival, and developed ambitious original productions: The Resurrection (a gospel Easter oratorio) and Nine Lessons and Carols (gospel carols and spoken word poetry). We have recorded many times for BBC Radio 2 and Radio 4 and this year (2018), we released an EP, ‘You Are The Key’ featuring a Sanctus that we sing in most of our church services. Find out more about Soul Sanctuary by visiting our website and signing up for enews.